This guide will help students better understand the concepts underlying the research process. Explore each tab in three steps: watch the video, read the recommended readings, then complete the assignment. Additional assignments are offered to strengthen your understanding of information literacy concepts. You may need to log into Esearch to read some articles. Intellectual humility: The importance of knowing you might be wrong: Why it’s so hard to see our own ignorance, and what to do about it. 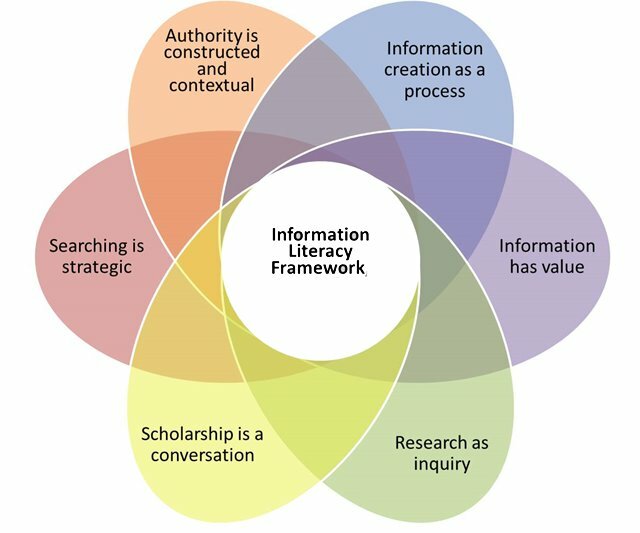 "The Framework is not designed to be implemented in a single information literacy session in a student’s academic career; it is intended to be developmentally and systematically integrated into the student’s academic program at a variety of levels." Vocabulary list (write out by hand the definition of each term. Use two different resources - an online resource available from a search engine and a specialized dictionary available from Oxford Reference or Gale Reference or Access Science). Once they've written out the definitions by hand ask them to paraphrase the definitions. Project Cora. An open access Community of Online Research Assignments.